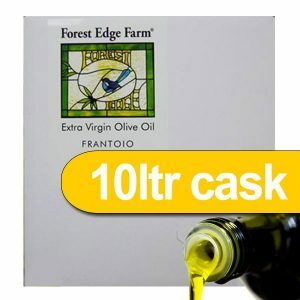 Just received a very attractive 1 liter cask of Forest Edge EVOO, It’s gorgeous! 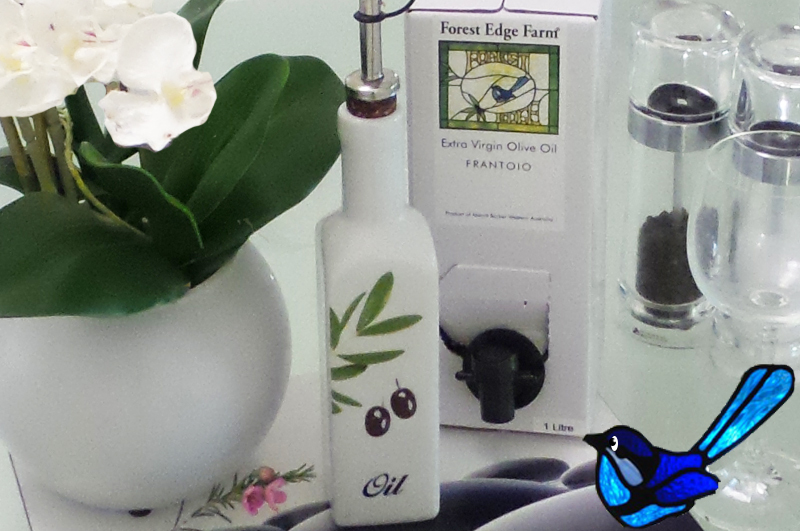 I love how I can poor it into my little olive oil bottle, that I usually put on the dining table. The tap on the cask is so much better to use when trying to fill an olive oil bottle from another standard bottle. No mess, no spills, it’s easy! 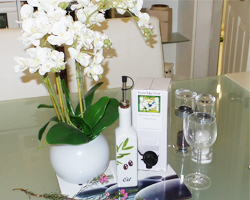 The aroma is beautiful, as fresh as a newly opened flower bloom. The taste is to die for, so delightful I’m struggling to find adequate words to describe it. 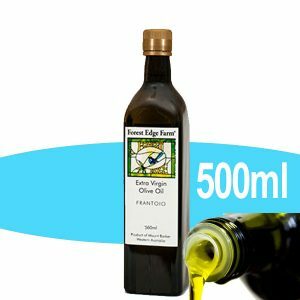 There is such a big difference between Forest Edge truly “Fresh” EVOO and the variety of supermarket brands that I’ve been using prior to discovering Forest Edge EVOO. 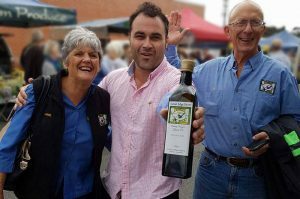 There’s no comparison, they are so very different, no wonder they say it’s “The oil that puts a smile on your face” as well as winning praise all over the world. I’m so glad I’m cooking a roast for dinner with my new Forest Edge EVOO, can you imagine glossy baked potatoes with a lightly crisp surface, caramelized baked onions and sweet red capsicum, tender pork roast and crispy pork crackle! The silky mashed potato I’ll make using this EVOO tomorrow is sure to be nothing less than sensational. Winter delights to sooth the soul and gladden the heart! Yumm…. Website Developer – Western Australia.